Star cards from the 1980’s can be very popular. 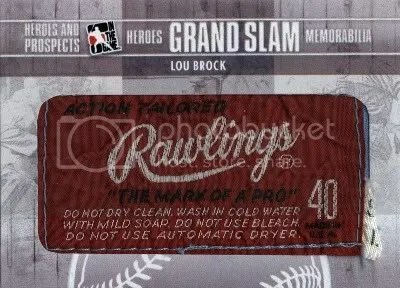 But you need to be careful when buying any of them because there were tons of counterfeit cards made. 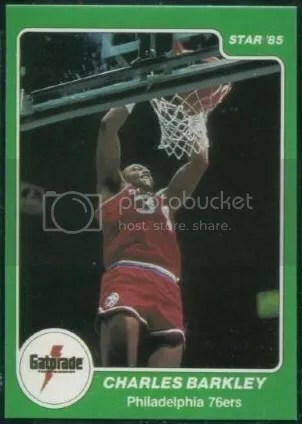 That goes double for any of the Michael Jordan cards which some predate the famous 1986-87 Fleer RC. 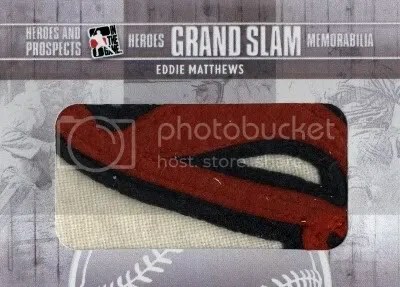 Given the year, authenticity, player, and condition, Star cards can bring into the thousands. It wasn’t uncommon for Star to team-up with various companies for promotional purposes. 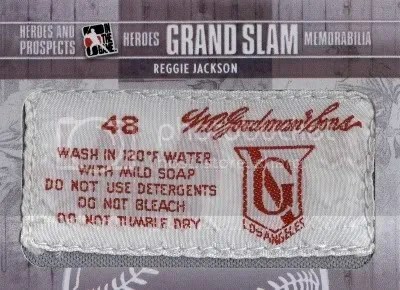 One example would be the 1985 Star Gatorade Slam Dunk set. 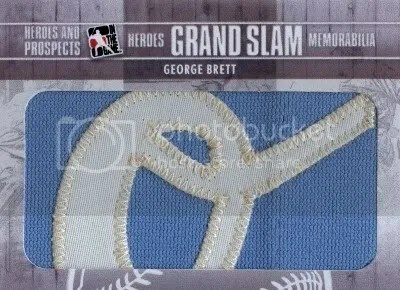 People who attended the 1985 All-Star Weekend Banquet in Indianapolis received a complete set of these cards. Overall, there are (10) cards to the entire set. Sealed sets contain (8) player cards plus the checklist. 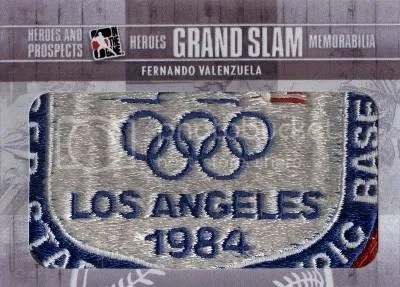 On the checklist you’ll notice that Terence Stansbury’s name is in bold. 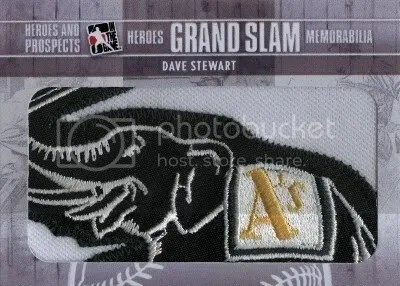 This is because Stansbury was added later to the set to replace Charles Barkley. 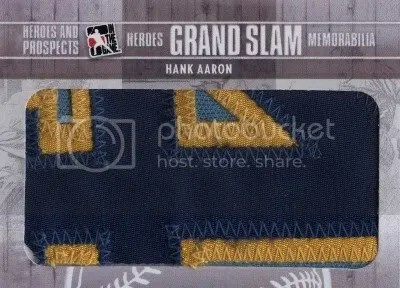 A Barkley card was created however, but was not included with the packed out sets. Somehow it made it’s way onto the secondary marketplace though. Isn’t it funny how those things almost always find their way out? 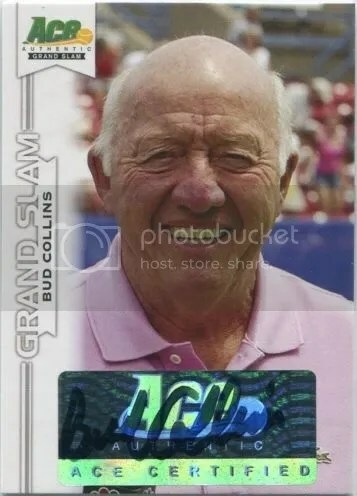 Obviously the most valuable card in the set is Michael Jordan. 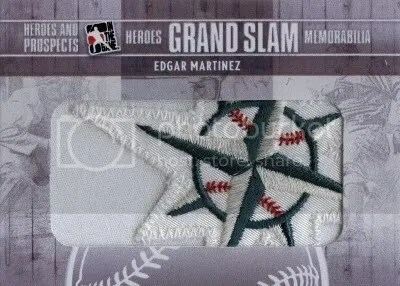 Examples of that card have been known to sell for $500.00+ depending on the condition. The Barkley comes in second at around $70.00. You can still find sealed packs for $300.00. 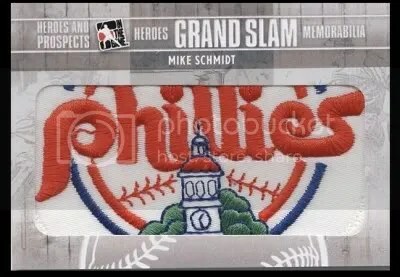 Is this not the sickest Mike Schmidt patch you’ve ever seen? 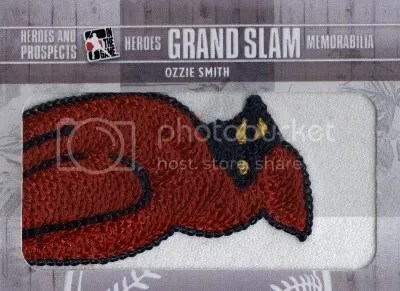 It might be the coolest Phillies patch ever. 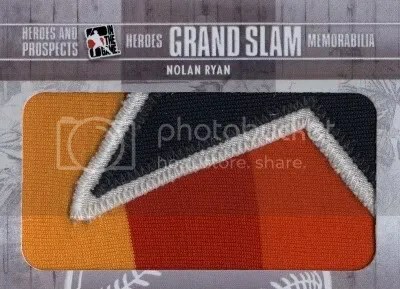 This is just a taste of the “Grand Slam” memorabilia cards found in ITG’s Heroes & Prospects which is due out later this month. 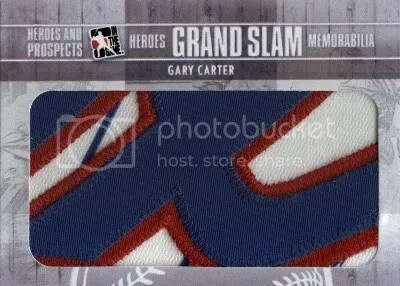 I’d love to see one of these cards contain the HK patch the Phillies wore a few years back. 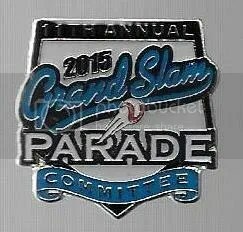 ’09 Grand Slam Parade Pin…… Got One!